Instagram's updated terms of service significantly broaden what the site can do with users' content. Update: Instagram said Tuesday in a blog post that it will revise its policy updates to make its plans clearer. "It is not our intention to sell your photos," the company wrote. Instagram shocked users with an update to its terms of service that will let the company sell users' photos to other companies. Even minors are subject to the new terms: "If you are under the age of eighteen .... you represent that at least one of your parents or legal guardians has also agreed to this provision." Users can't opt out of the new provisions. The only way to avoid them is to delete your Instagram account altogether. 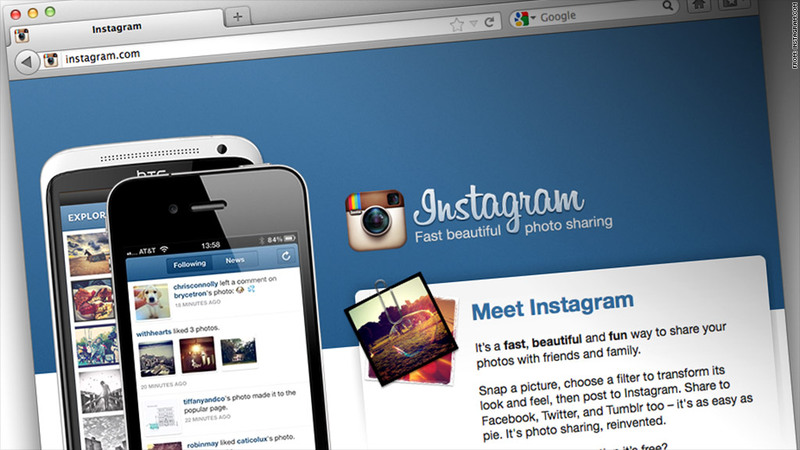 The updated terms significantly broaden what Instagram can currently do with users' content. The current terms simply note that "Instagram may place such advertising and promotions on the Instagram Services or on, about, or in conjunction with your Content." Hammering the point home, Instagram changed the current language about users granting a "limited license" for use of their content. The new terms make it a "sub-licensable" agreement, again making it clear that Instagram can give content to third parties. It could, for instance, let a major retail chain buy Instagram photos of people shopping in their stores to run in an ad. The policy changes come three months after Facebook's (FB) $1 billion acquisition of Instagram was finalized. Facebook already has an ad product, called "Sponsored Stories," that incorporates users' Facebook endorsements. It led to a class-action lawsuit; Facebook is currently negotiating to settle the case. In the meantime, it adjusted the controls for Sponsored Stories, allowing users to limit what gets shared. Users can't, however, opt out entirely. Something like Sponsored Stories appears to be what Instagram has in mind. "Let's say a business wanted to promote their account to gain more followers and Instagram was able to feature them in some way," the company wrote in its blog. The rest of Instagram's policy updates focused on items including spam, hacking and bullying. The overhaul adds much more legalese throughout. What's more, users waive their rights to a class-action lawsuit or class-wide arbitration. The photo-selling provisions is the one that made the headlines, though, and users took to social networks to complain. Some people appear to be prepping to delete their accounts. One photo-export program, Instaport, crashed soon after a Wired article linked to it. Instaport's website read: "We are expecting high traffic right now. If you have problems downloading your photos, please try again tomorrow or the next days."